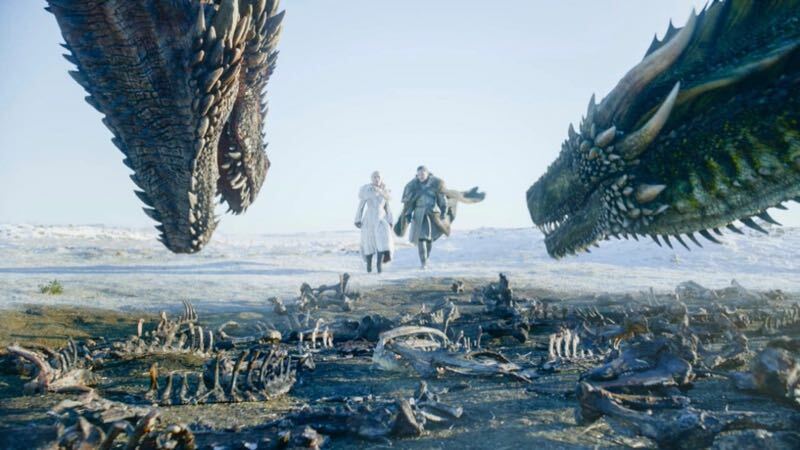 HBO has announced that the final season premiere for Game of Thrones was watched by a record 17.4 million viewers Sunday night, exceeding the previous series high of 16.9 million viewers for the season seven finale. Compared to the season seven premiere audience of 16.1 million, the season eight premiere grew by over a million viewers. In addition, te HBO NOW streaming service saw a jump of approximately 50% in viewing when compared to last season’s finale and nearly doubled (97%) when compared to the seventh season premiere. Yesterday accounts for largest night of streaming activity ever for HBO. The 9:00 P.M. airing of the premiere was viewed by 11.8 million viewers, surpassing the season seven premiere of 10.1 million viewers and slightly behind the season seven finale of 12.1 million viewers. Game of Thrones‘ seventh season went on to average 32.8 million viewers per episode.